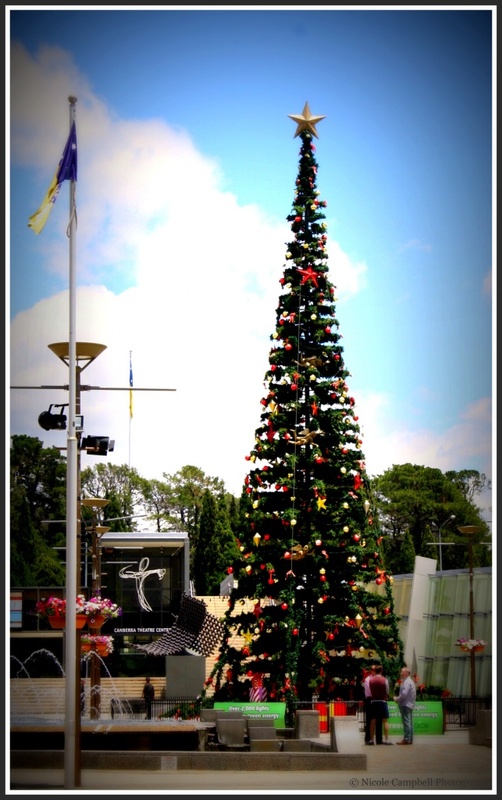 This is the Christmas Tree that the ACT Government has erected in the Canberra city centre. Not a particularly good shot, but the best I could do today. I tried to make the photo look like winter, but who am I kidding, it is summer here and this is how we celebrate Christmas - full of sunshine! Huge! Like the people. It adds prospective. Is the tree real? It doesn't look it. @ptowncook - it is fake. @mwarren365 @kaustin @hinkipunk94 @shanne - thanks or your comments, I hope the festive season is treating you all well. I think it's a good shot- and that's one of the fun aspects of 365 to me. Since I'm in the northern hemisphere, I've always celebrated Christmas with cold temps and snow. Now I know that for half the world it's a completely different experience. It's really hit home this year! Looks like quite a tall tree!